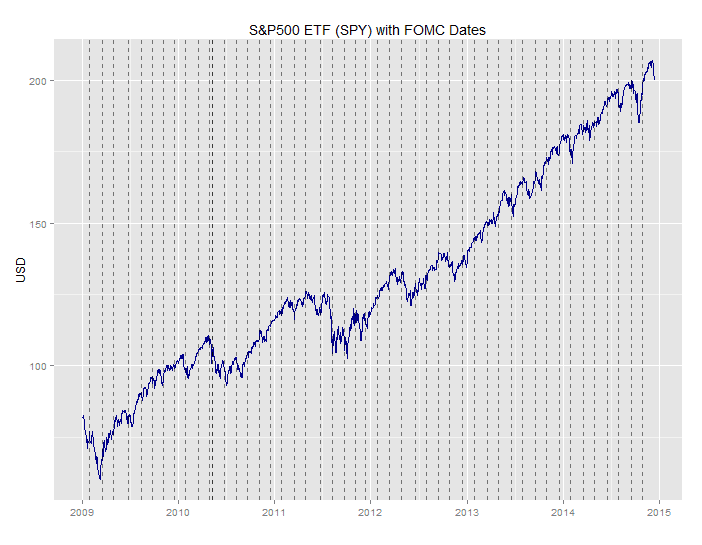 As a first step in visualizing/exploring the data from my last post, FOMC Dates - Scraping Data From Web Pages, I’ll plot the FOMC announcement dates along with the following price series: 2-Year and 10-Year US Treasury yields, S&P500 ETF (SPY) and USD Index ETF (UUP). I’ll use the quantmod R package to download the price data from the US Federal Reserve Economic Data (FRED) database and Yahoo Finance. For the graphics, I like the cool gglot2 R package, and although it’s more complicated to code, it’s worth it. First, install and load the quantmod, reshape2 and ggplot2 R packages. Download the price series data and store as xts objects, and load the FOMC announcement dates from the file saved in the last post. 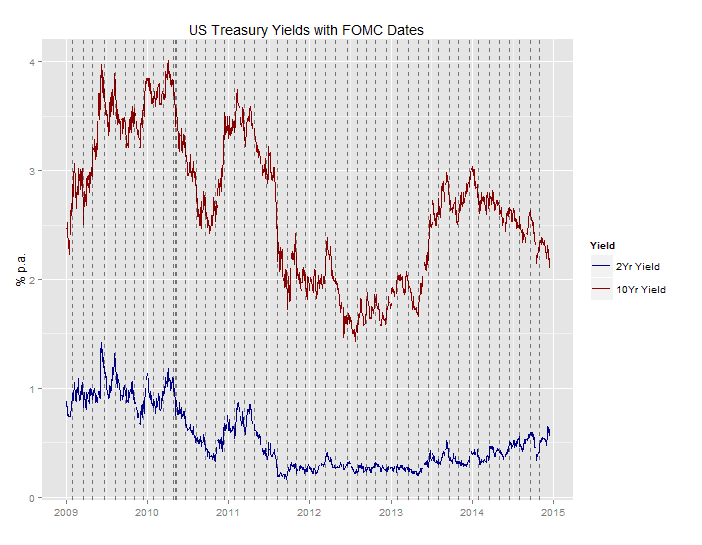 Reshape the yield data in order to plot both the 2-Year and 10-Year yields on the same chart. The FOMC announcement dates will be shown as dashed vertical lines. 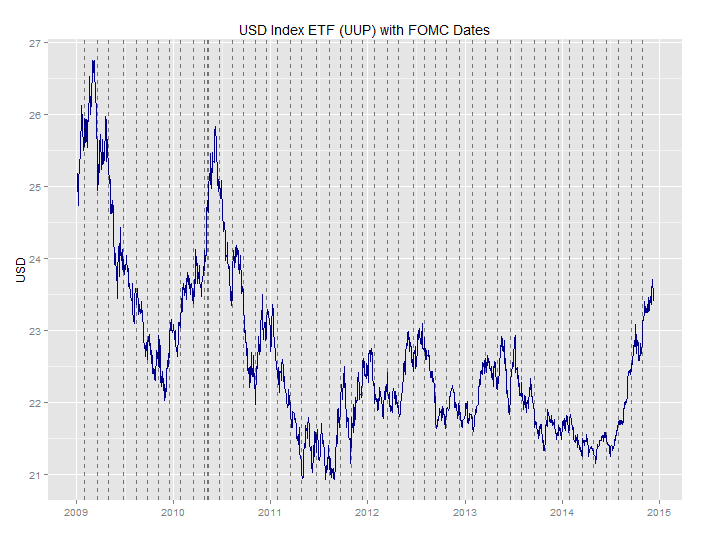 Finally, plot the charts for the S&P500 and USD Index ETFs - no need to prep the data as we’re plotting 1 time series per chart.